There was a time when there were numerous categories in sports car racing: GT1, GT2 , GT3... but these days they've all been amalgamated into the latter. That's left a GT3 class packed with competitors and possibly more contentious than ever before. What you see here is Mercedes' new challenger, in official form after being leaked earlier today by the French website Le Point. Replacing the SLS AMG GT3 that won its class (among other races) the Nürburgring 24 Hours in 2013 is the new Mercedes-AMG GT3. Set to be revealed at the Geneva Motor Show, it's the racing version of the new Mercedes-AMG GT, and aside from looking the business, it has the makings of a highly competitive entry. As you can see, it sits closer to the track surface than the road-going version, and packs more extreme aero – including a front splitter you could serve dinner off of, little winglets to deflect the air away from the front tires, deep side sills, a massive rear wing and (though we can't see it presently) what promises to be a very large rear diffuser. It's also got more ventilation to feed the engine and cool the brakes, and a stripped-out cabin with full roll cage and a steering device that's long since evolved beyond resembling an actual "wheel." To save weight, Mercedes has redone many of the panels out of carbon fiber, but one of the most intriguing elements is what you'd find under that woven hood: instead of adapting the 4.0-liter twin-turbo V8 from the road-going GT, AMG has slotted in the larger atmospheric 6.3-liter V8 from the outgoing racer – coupled to a six-speed sequential gearbox. 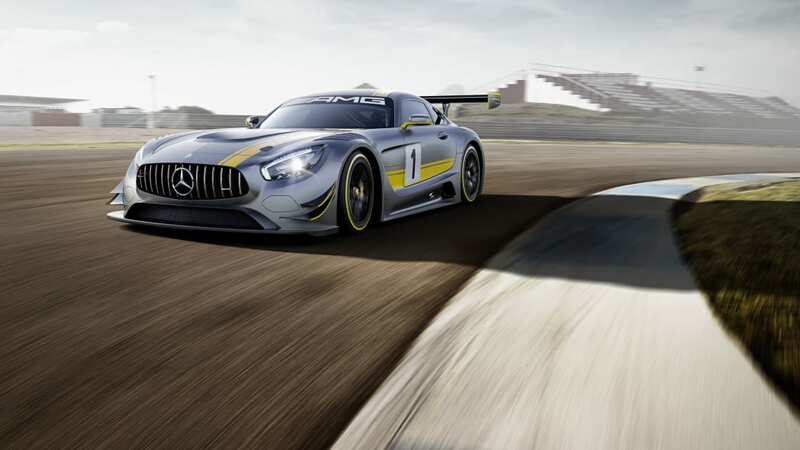 With its new GT3 entry, Mercedes surely hopes to take a slice of the customer racing market that Porsche in particular has developed into a successful and profitable business over the years. Racing fans, however, will be more interested to see how this puppy fares at Le Mans, the Nürburgring, the Blancpain sprint and endurance series, the United SportsCar Championship, the FIA World Endurance Championship and countless national series around the world. It'll have tough competition on its hands, though, from the likes of the Porsche 911 RSR, Audi R8 LMS, Bentley Continental GT3, Ferrari 458 Italia GT3, McLaren 650S GT3, Lamborghini Huracán GT3 and countless others that battle for glory on a racetrack somewhere on any given Sunday. Affalterbach. Mercedes-AMG will ring in the 2015 motorsport season at the beginning of March with the sonorous sound of the V8 engine: the new Mercedes-AMG GT3, with which the Mercedes-Benz sports car and high-performance brand is systematically expanding its motorsports presence, will be making its debut appearance at the Geneva Motor Show. Developed to comply with the FIA's GT3 race rules, the racing car will compete in the world's most hotly contested customer race series. Cutting-edge racing technology and spectacular design predestine the new challenger for victories. The new GT3 is based on the Mercedes-AMG GT, which is being launched in just a few days' time. Following an intensive test phase, the new AMG racing car will be shipped to the first customer teams at the end of 2015. 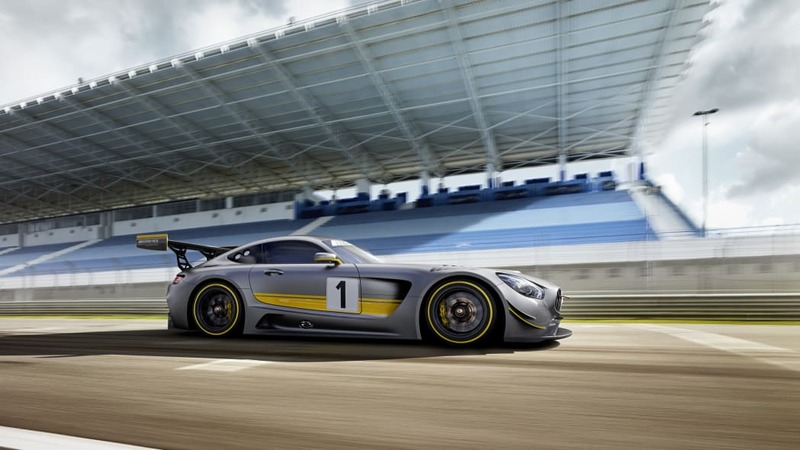 The Mercedes-AMG GT3 will blaze new trails in customer sports with its intelligent vehicle concept. The excellent racetrack performance of the standard GT already provides the best possible basis for this. 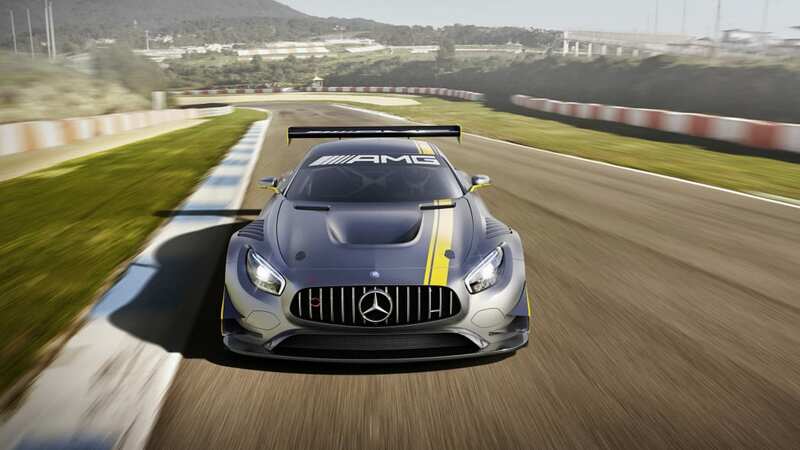 "We are entering a hard-fought and hotly contested competitive environment with the new Mercedes-AMG GT3. The high technological standard and fair race rules are spurring us on to push to take pole position with our new customer racing car. You can only give credible proof of your ambition to lead if you're beating the very best in the game," commented Tobias Moers, Chairman of the Board of Management of Mercedes-AMG GmbH. Powerful acceleration is ensured by the seasoned and now further enhanced AMG 6.3-litre V8 engine taken from the SLS AMG GT3. User-friendly technology, excellent reliability, long maintenance intervals and the high-revving naturally aspirated engine with low running costs made it the engine of choice for the new AMG customer sports model. The six-speed sequential racing gearbox for the GT3 is - as is the case in the standard GT - mounted in a transaxle configuration on the rear axle, thereby facilitating optimum weight distribution. They also have double-wishbone suspension - made almost entirely from aluminium - in common. These solutions once again demonstrate how closely linked regular production technology and racing technology are at AMG.